emilie lund, emma magerøy, malene juliussen olsen, andrea opsvik, cathrine rogne and special guests! In the form of contemporary picture theater the ESC ungdomskompani and Felix M. Ott thematize with The giggling Bunnies the shift from reality to the surreal environment of a dreamy landscape, a landscape of an imaginative Norway following Ibsen’s search for identity in Peer Gynt.Through individual improvisations and direct work with the young dancers (between 16 and 18 years) the young choreographer confronts The giggling Bunnies with new methods in contemporary dance and acting. The Bunnies are guided on the search for a new form, for a new way to express their inner state. But being in adolescence, these teenagers are at a turning point in their lives. They are on their way from being a girl to being a woman and they will find new believes, new identities, and new concepts that may not be absolute. They are in a change that leads to another change simply like the piece itself, the working process, and the idea that there is no save ground to be found, there is no definite answer, only a search. The giggling Bunnies are the future mothers of Norway that dream of freedom. Felix M. Ott and the ESC ungdomskompani discuss and develop theatrical pictures to stage and lay open their playful research in a fictional Norwegian dreamscape. martin scorsese, mac donalds, berhain, kater und co, p.ott, the weather and landscape of bergen, katharina rathgeber,girls in uniform and last but not least the giggling bunnies! 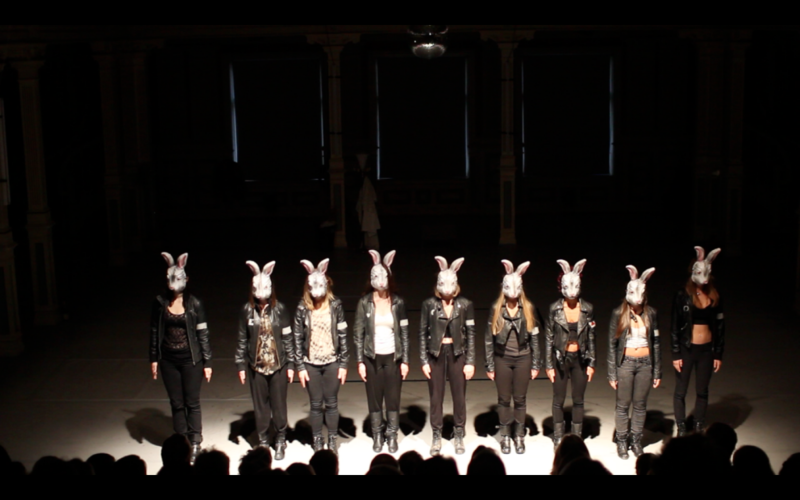 thanks to: camilla skrede johannesen, kine bach, Liv Basberg, Bergen Dansesenter.